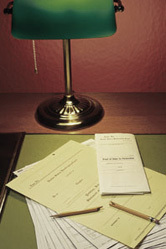 The Law Offices of Leslie E Johnson II provide a wide range of legal services, namely, Probate, Conservatorships, Guardianships, Wills, Living Trusts, Special Needs Trusts, Trust Administration, Estate Planning, Elder Law, Divorce, Family Law, Adoptions, Name Changes, Contracts, Leases, Corporations, Partnerships, LLCs, Landlord/Tenant, Real Estate Transactions, Grandparent Rights and Paternity Rights. The Law Offices of Leslie E Johnson II is located at 121 North H Street, Lompoc, California. Our phone number is (805) 736-8555. Please call for an appointment. Office hours are from 9:00 a.m. until noon and from 1:00 p.m. until 5:00 p.m., Monday through Thursday. On Friday, the office is open from 9:00 a.m. until noon and from 1:00 p.m. until 4:00 p.m. We make housecalls and hospital calls. Leslie E. Johnson, II was born in Lompoc, California. He attended Lompoc High School, where he served as Associated Student Body (ASB) President. He received his college degree from Harvard University, majoring in History. He received his Juris Doctorate (JD) Degree and a Master of Business Administration (MBA) from the University of Santa Clara. He has been providing comprehensive legal services to the Lompoc Valley since 1983.